Peter Sarram is Associate Professor of Communications at John Cabot University. Next year will be his 20th year teaching at JCU. The 9th Beyond Humanism Conference will take place at John Cabot University in Rome July 19-22, 2017. 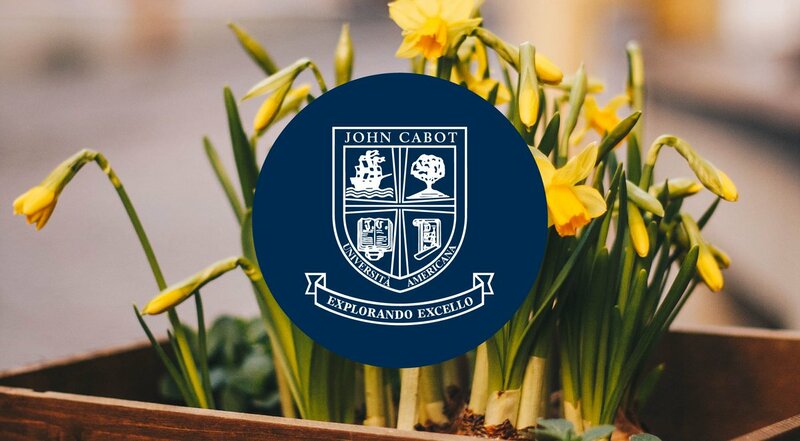 Prof. Scarpa teaches Human Rights, Contemporary Slavery and Human Trafficking, International Law, and International Migration at John Cabot University. She is the author of the book Trafficking in Human Beings: Modern Slavery (Oxford University Press, 2008). On November 4-5, 2016 John Cabot University co-hosted the International Media Education Summit 2016, in collaboration with Bournemouth University and the Center for Excellence in Media Practice (CEMP). The Department of Modern Languages and Literature welcomed Franco Roberti, Italy's Chief Antimafia and Antiterrorism Prosecutor, and Michael Gaeta, an FBI agent and current Assistant Legal Attaché at the US Embassy, for "A Roundtable Discussion: The Challenges of Transnational Organized Crime Today." On October 5, 2016 the JCU Department of Communications hosted a lecture by Mark Hosler. Hosler is one of the founding members of the band Negativland. JCU Philosophy Professor Stefan Sorgner discussed the relevance of utopias for the future of Europe at a European Cultural Capital 2016 event in Wroclaw, Poland. On Tuesday, July 7, the Guarini Institute for Public Affairs organized a panel discussion on the 2016 U.S. Party Conventions and the Impact of Brexit. On Thursday, July 7, Riccardo Maiolini, Lecturer in Entrepreneurship at JCU, spoke about the Characteristics of Mainstream Open Innovation at an event dedicated to Open Innovation and Cooperation, organized by Confcooperative Emilia Romagna. Together with other thought leaders, JCU Philosophy Professor Stefan Sorgner was invited to the Global Initiatives Symposium 2016 in Taiwan dedicated to the topic "Redefine the Limitations".